Question Evolution Day is February 12, Darwin's birthday. It was Inspired by the "Question Evolution! Campaign" of CMI. ("The Question Evolution Project" is an ongoing information resource that spearheads Question Evolution Day.) Creation Sunday falls on the same day in 2017, so churches may want to consider doing something to observe both events that weekend. 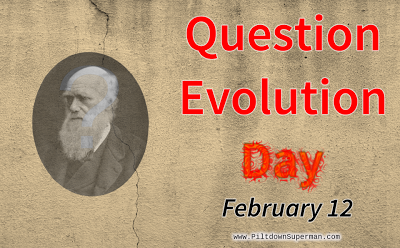 Question Evolution Day has several purposes. One is very basic, to support people who want to say, "I don't believe in evolution, here are my reasons..." A second is to show people that there is indeed scientific evidence refuting evolution and supporting creation. Third, we hope to prompt people to consider evidence against evolution and supporting creation that they may have not known about before. Another purpose of QED is to equip Christians with resources so they can confidently stand up for the faith. Not only do we question the pronouncements of evolutionists, but again, we want them to honestly examine the evidence against evolution and supporting creation, and to question evolution themselves. We should have the intellectual, academic and professional freedoms, and freedom of speech, to express our views, without retaliation, suppression or repression. In our assessment of the scientific evidence, we see that it does not support evolution. Instead, the most logical conclusion is that there is a Creator. People who wish to go beyond the above statement can post articles, comments, links to articles, link to videos and so on to explain creation science viewpoints. Intellectually honest people are welcome to join us in examining the evidence. We can obtain and examine information against evolution and for creation (this site is meant to be used as an information springboard of sorts), post articles and comments, defend our position and more during the year. That is why this is "The Question Evolution Project". After educating ourselves, we can really make ourselves heard on February 12! Here is the article I wrote for Creation Ministries International. Eric Hovind of Creation Today had some ideas that you may want to cognate on. Spread the word on the Web, make yourselves heard! Also, have events on or near February 12 where you have discussions, show videos, whatever. Schedule a happening in your church. Graphics for your Website, Weblog, profile or whatever are available here. The Web Page of "15 Questions for Evolutionists", here. Video playlist of "15 Questions for Evolutionists", here. PDF of "15 Questions for Evolutionists" available, click here. Some people are unclear on the concept. 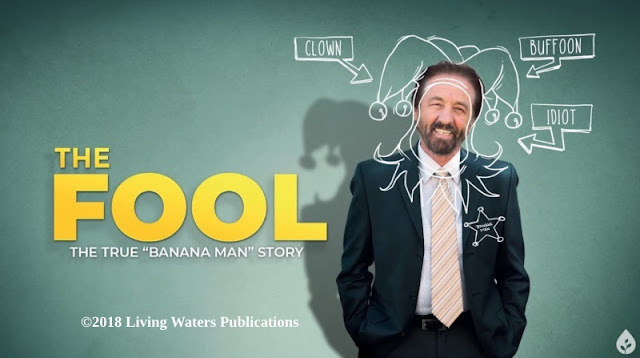 This video is not the be-all and end-all of creationist teachings! Rather, it is a starting point. There are links referenced in the video for you to further your studies.